Wherever you want to stick them, we’ve got a solution. On a pitched roof, flat roof, garden shed, on the ground or even on a pole… Naked have seen it all before. 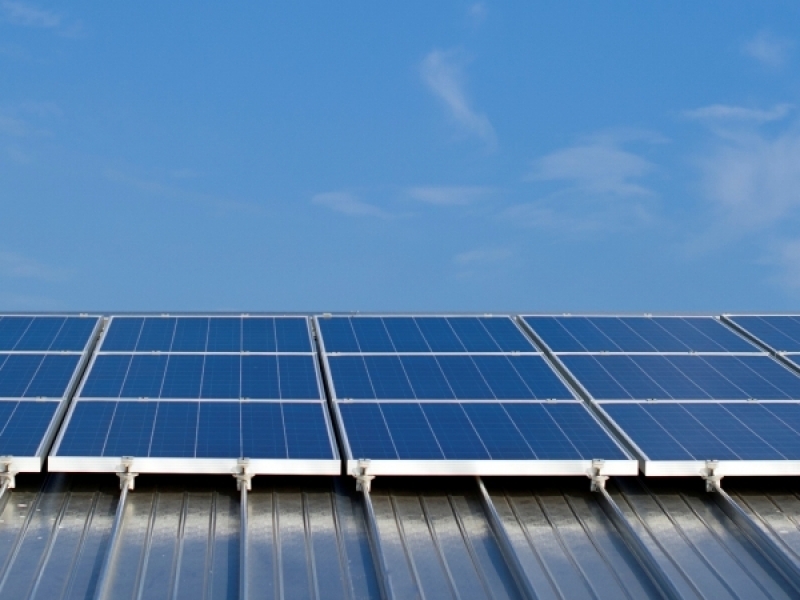 We’ve all seen Solar PV panels mounted on people’s roofs and on the roofs of businesses, so here’s a rundown of the options to get them up there. By far the most common method for fixing Solar PV panels to a roof. Normally the lowest price it also gives the best performance as there is maximum ventilation, allowing the panels to keep cooler. 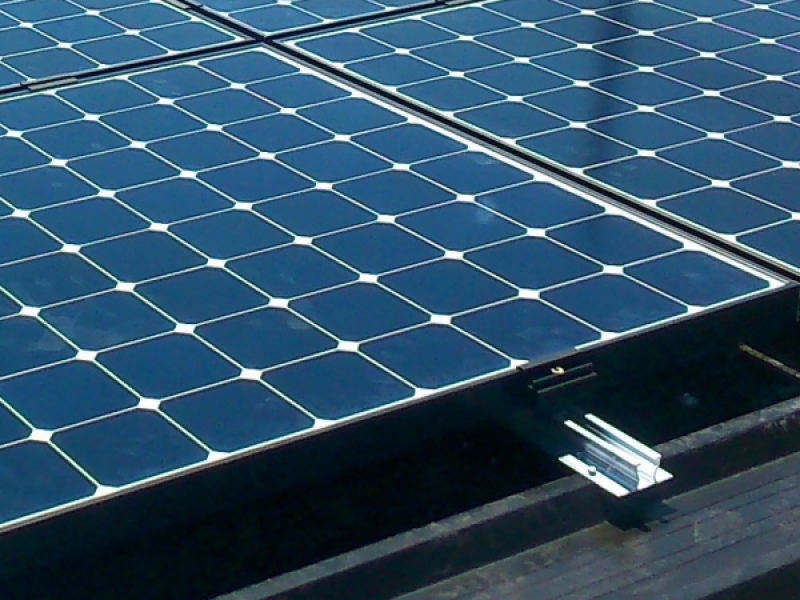 See our ‘Compare Solar Panels’ page for information on how heat affects solar pv performance. Many commercial buildings have metal trapezoidal roof structures. Here the rails are secured to the ridges of a metal roof using self-tapping screws. The base of the rails has a waterproof membrane to ensure a secure weather seal. 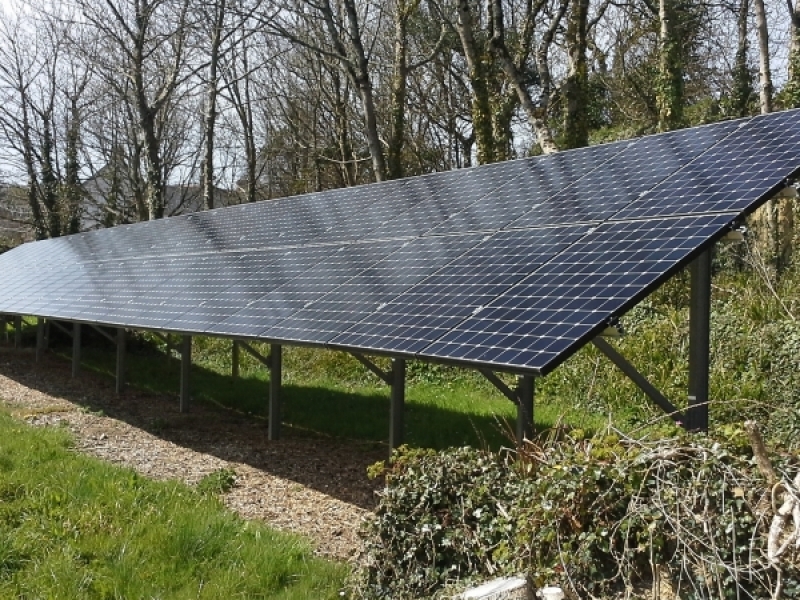 The Solar PV panels are then clamped to the rails, keeping the panels very close to the roof to minimize wind loading. 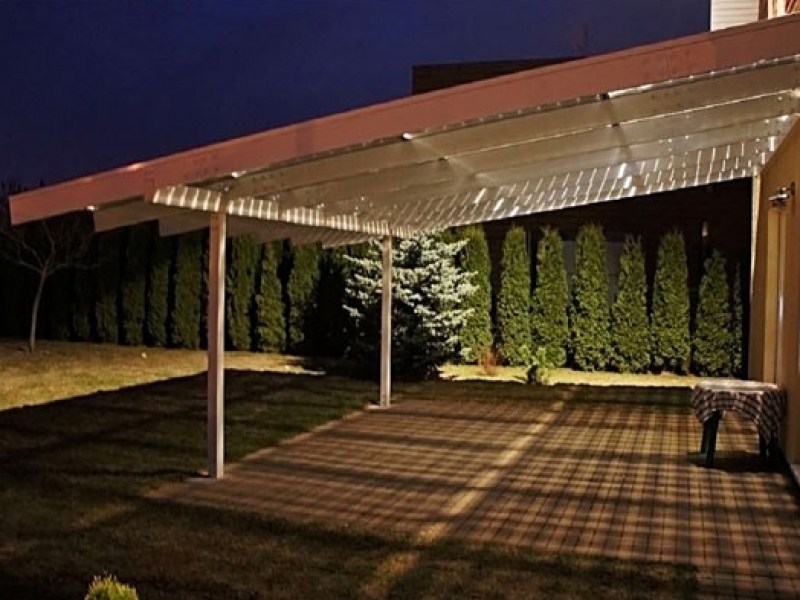 Though unusual, this type of roof occasionally appears on homes and businesses. 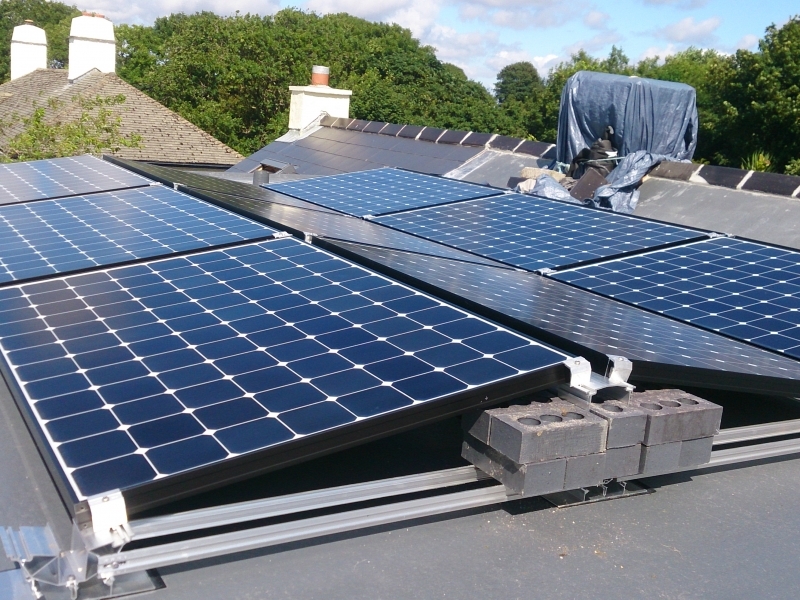 We attach clamps to the standing seam of the roof, then either a rail is attached to the clamps or the solar PV panels are fixed directly to the standing seam clamps. Why not make use of the whole of your roof? 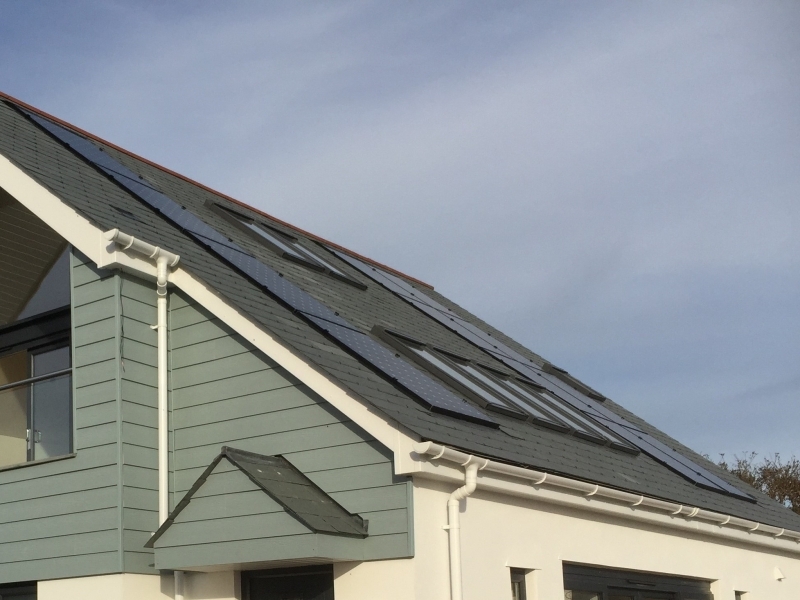 these systems mean that your solar PV panels become the actual fabric of your roof, serving two purposes, weather proofing and energy supply. 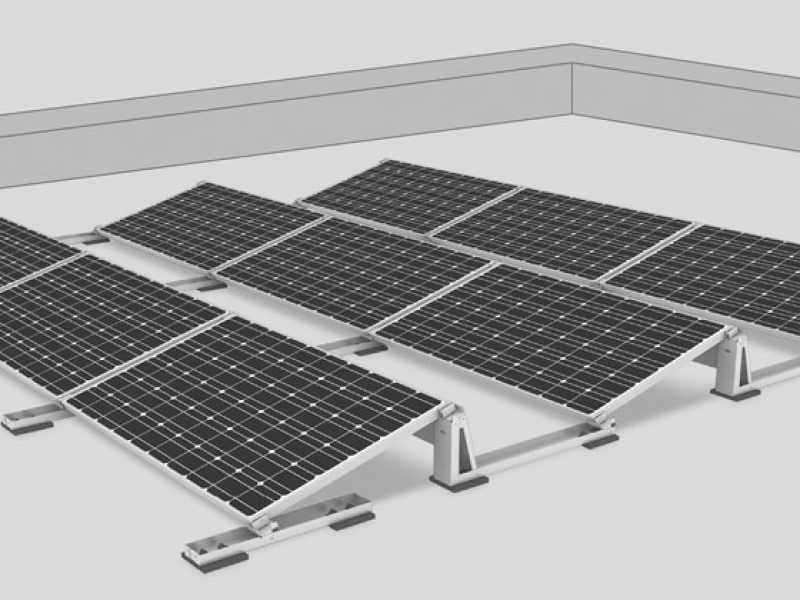 The solar PV panels frames need to be bespoked for the mounting system so there is a limited choice of panels with these set ups. Luckily there are still good quality panels to choose from. 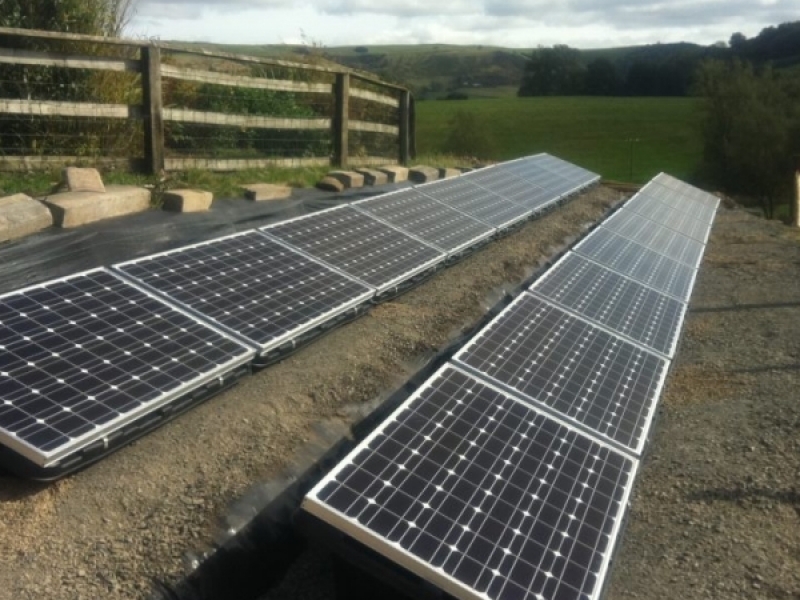 There are some tile or slate shaped solar panels available on the market today. Tesla Tiles are still in early production stage and are expected to arrive in the UK sometime in 2019. Keep an eye on our newsletter for release dates. 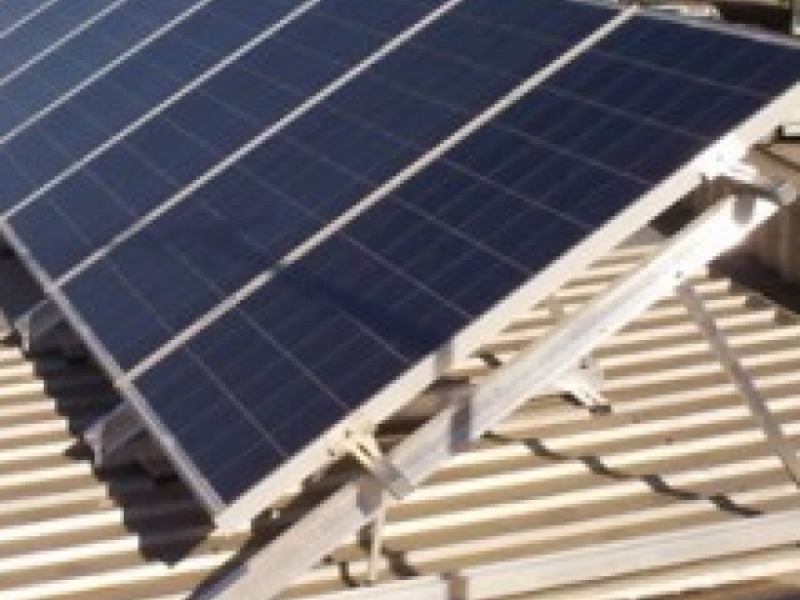 This is where you can mix your choice of roof fabric with solar PV slates or tiles. 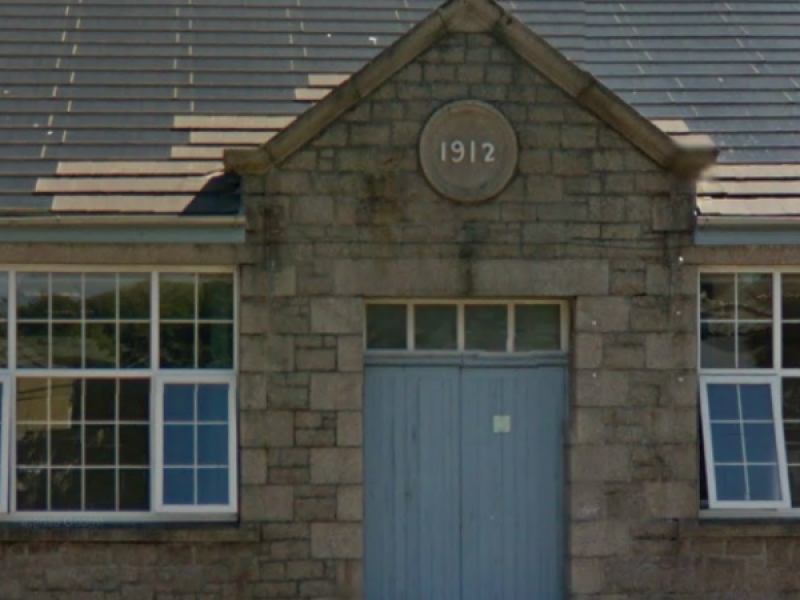 They fit to the roof in the same way as slates or tiles do. There are many solutions for flat roofs. The main concern is usually how much weight the roof will hold. Becoming very popular over the last few years. 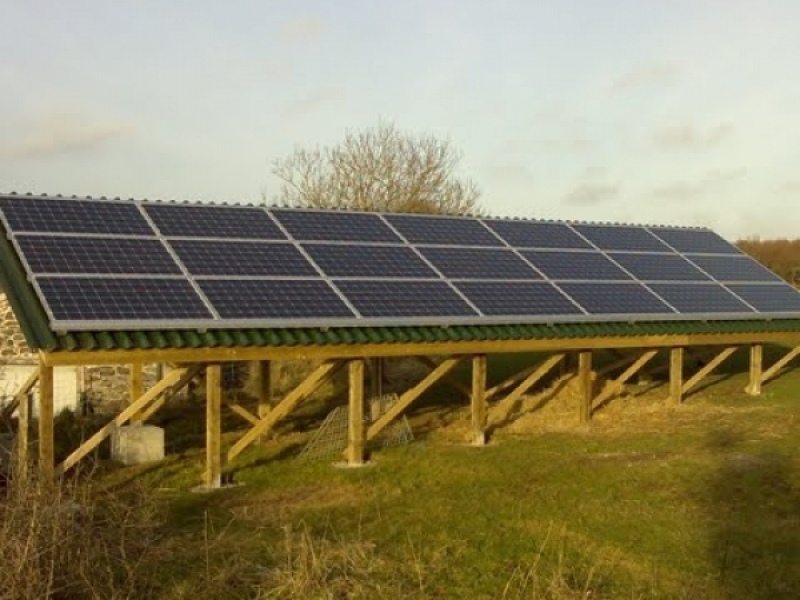 Having an East/West system means that the ballast required is very low because we can mount the panels back to back, reducing wind resistance. It also means you can get much more power in a limited space. 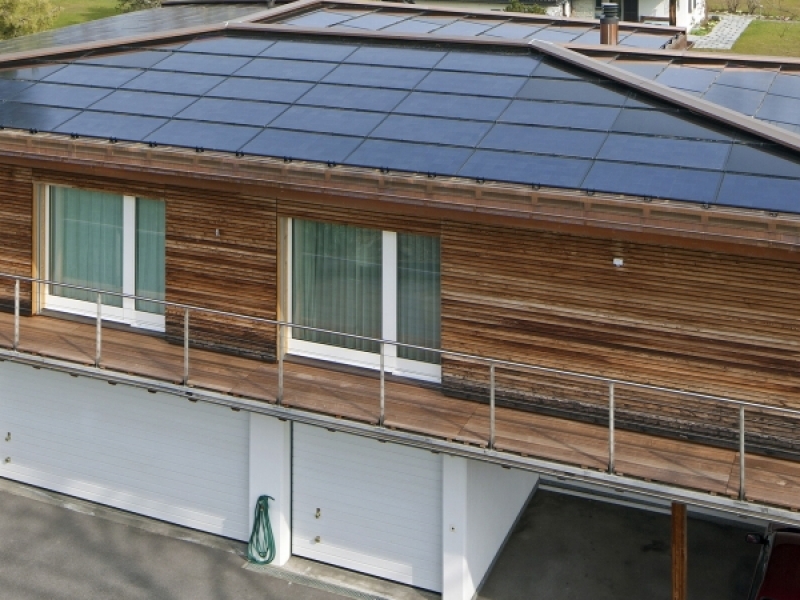 Many people are surprised as they think Solar PV panels must be south facing. These systems will still generate at least 90% of their south-facing counterparts. Using them means you can fit more panels into the same space which makes a lot of sense. 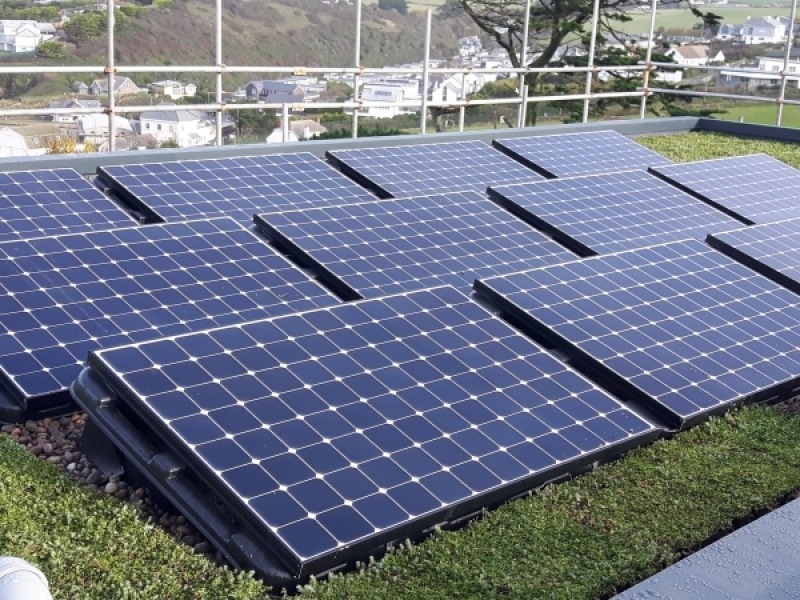 Screwed to the trapezoidal roof in the same way as pitched trapezoidal roofs, these frames allow you to pitch your solar PV panels for optimum performance. 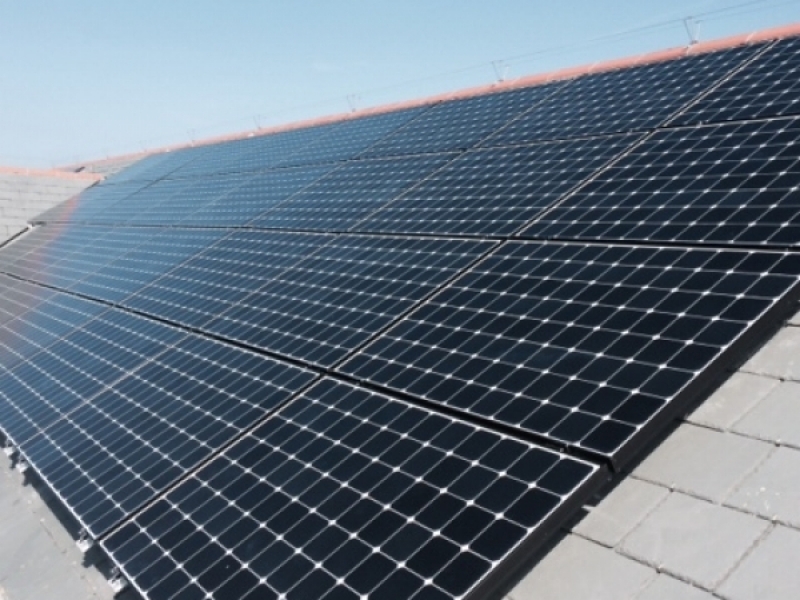 As many people are nervous about roof penetrations on a flat roof, these south-facing ballasted systems can increase your yield if you’ve got plenty of roof space, without penetrating your weather proofing. Who said you had to put panels anywhere near your roof? You can always mount them on the ground. Lots of customers have decided to make their own roof on the ground. These have taken the shape of log stores, chicken sheds, part of a gazebo or simply a wooden structure instead of a metal frame. As a guide, this mounting system is £52+VAT/panel, (this does not include the wooden structure). As anyone with Solar will tell you, there’s more energy than you can shake a stick at in the summer, but getting through the winter is the trick. With a seasonally adjustable mounting system, you can change the pitch of your panels to maximise the yield in the winter. This can increase your winter yield by up to 40% and considering these mounting systems are slightly lower priced than the metal ground mounted frames… why wouldn’t you? 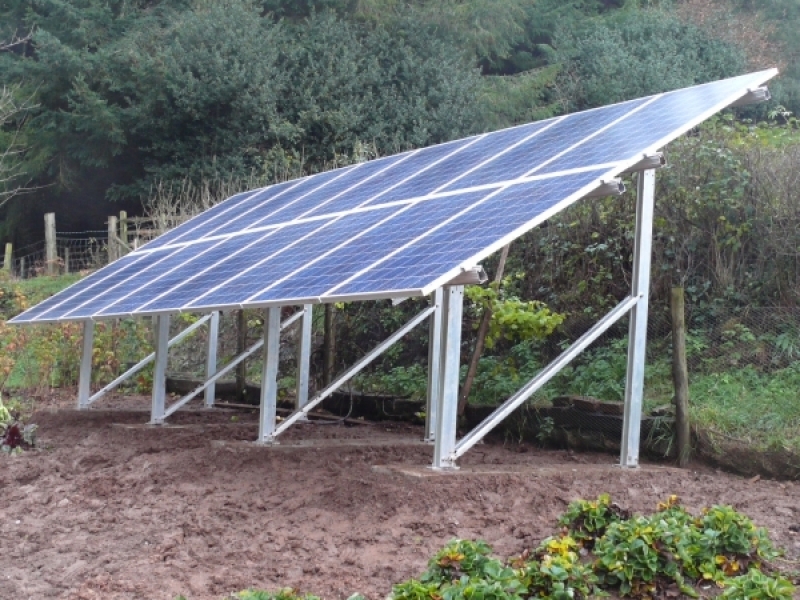 As a guide, this mounting system is £2500+VAT for systems of up to 29 panels. 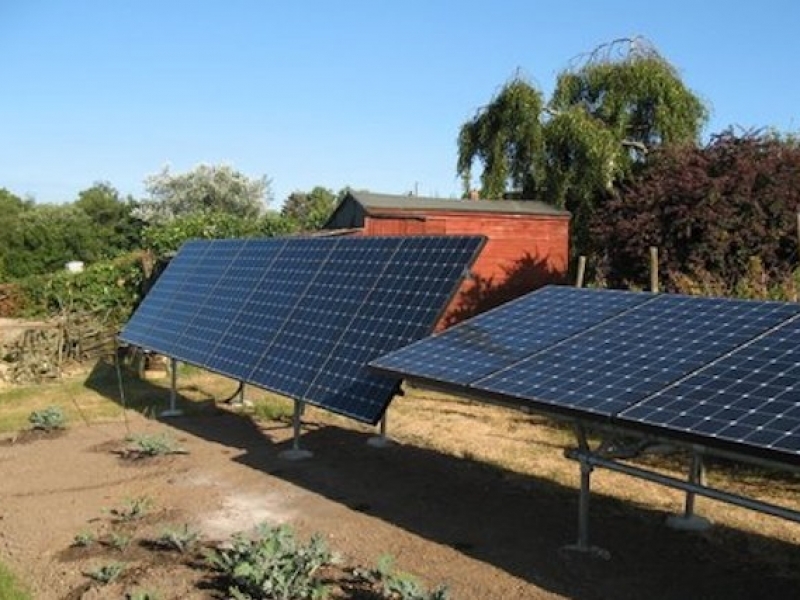 These look great and are a fantastic way to make use of space if you want to increase your solar potential. Create a place to shade from the sun while making the most of it’s energy.